The first true test of the four field umpire system was put into place over the weekend. Trials have been conducted over many years in NAB challenge matches and during the last four rounds of last season. However, that trial was confined to non finals teams and non finals umpires. Some argued that more than four umpires were required to handle the demanding Nth Melbourne v Hawthorn match on Friday night with spot fires occurring all over the ground as the two teams went at it in a very traditional and tightly fought contest. 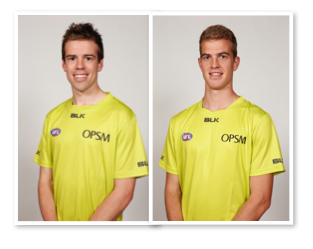 Three of the umpires from that encounter, Mat Nicholls, Rob Findlay and Craig Fleer had to umpire a second game, Essendon v GWS over the weekend to see whether umpires could back up and umpire two games a weekend. The trial will continue for the next two weeks before a decision is made as to whether to introduce the system in 2017. 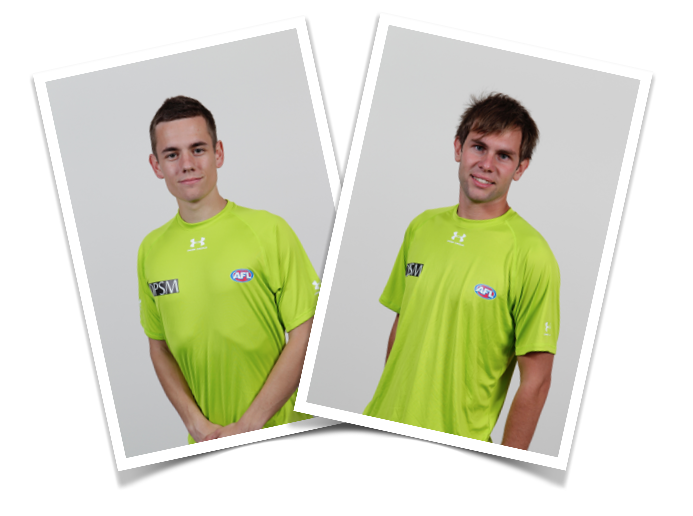 Congratulations to boundary umpires, Matthew Jenkinson (100 games) and Jason Moore (50 games) who umpired their milestone matches over this round. (Their stories will appear later). The AFLUA and it’s members stood firm and the AFL acted with urgency and real concern to shut down the damaging comments from Nth Melbourne coach, Brad Scott. We all know that an umpire only has his or her integrity to stand on in football. Scott’s unsubstantiated comments has damaged the brand of all umpire’s officiating around the country. 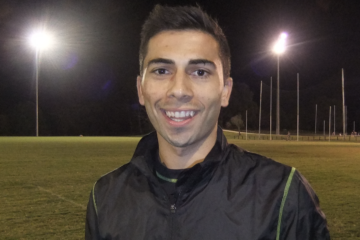 Boundary umpire Chris Roberts has taken the first big steps to get back into AFL ranks following a serious illness pre-season. He will be back in the VFL seniors this week with a hopeful return to the AFL after the bye rounds. The bye rounds offer a welcome relief to all of our umpires who are afforded a few days away from the rigours of training in the middle of winter and the opportunity to recharge the batteries for the final rounds of the season. Some take the break seriously and leave Melbourne for the warmth of Queensland, while others just welcome the break.